At Enterprise we operate a wide range of CNC machining equipment designed to accommodate various component types and sizes. We utilize two 5-axis vertical CNC milling centers capable of machining parts up to 44” in length, 24” in width, and 18” in height. The ability to perform 5-axis milling is essential to producing complex, high quality components with a fine surface finish. We believe this is the best way to achieve the kind of quality, depth of cut, and machining that can be attained for customers. With two 5-axis machining centers available we can run multiple jobs at once. 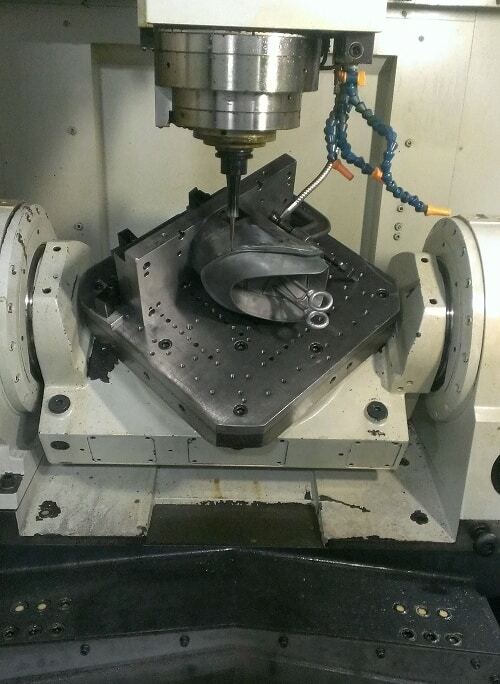 In addition to the two 5-axis vertical milling centers, we have multiple 3-axis machines. Our Haas VF-9/50 has a working capacity up to 84” in the x direction, 40” in the y direction, and 30” in the z direction. 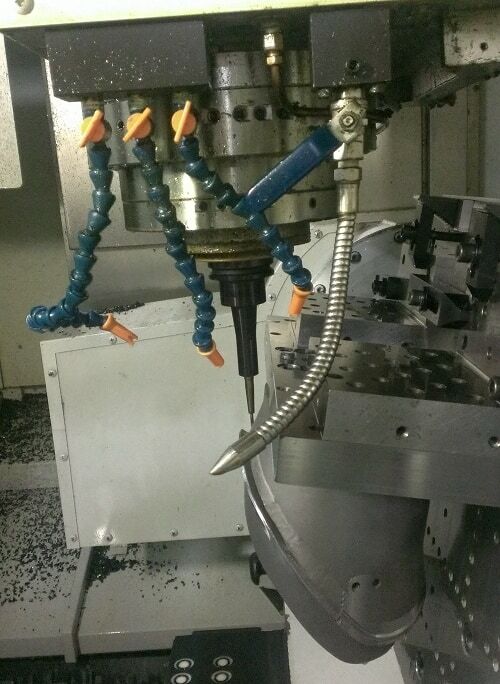 This makes us one of the higher capacity machine shops in the area. SolidWorks, Delcam, Surfcam and Pro-E modeling and design software is utilized in-house and customer drawings can typically be accepted in their native format to better preserve drawing details. Our precision metrology instruments are used to verify part dimensions in accordance with customer specifications. 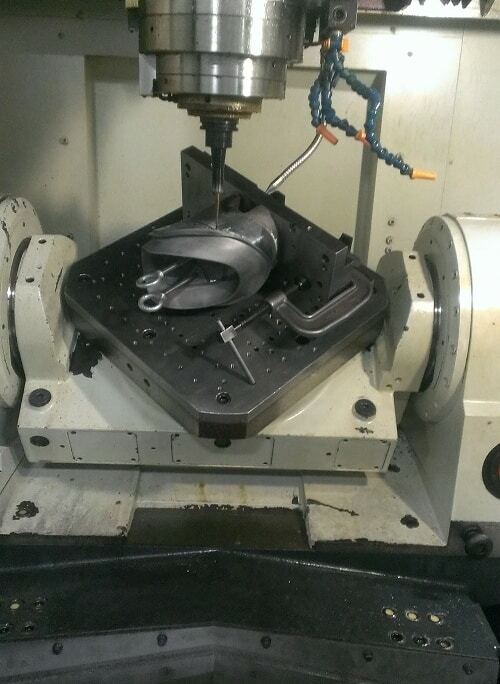 Our core business has historically been building precision tooling for the automotive, medical, industrial, consumer products and permanent mold foundry industries, but given our extensive machining capacities and years of experience, we are open to new projects and industries. The knowledge, attention to detail, and project management skills we process allows us to complete complex mold and tooling projects for a vast array of different applications. For more information about our CNC machining capability, see the table below, or contact us directly. Have a CNC machining project that needs done? Get a quote today!